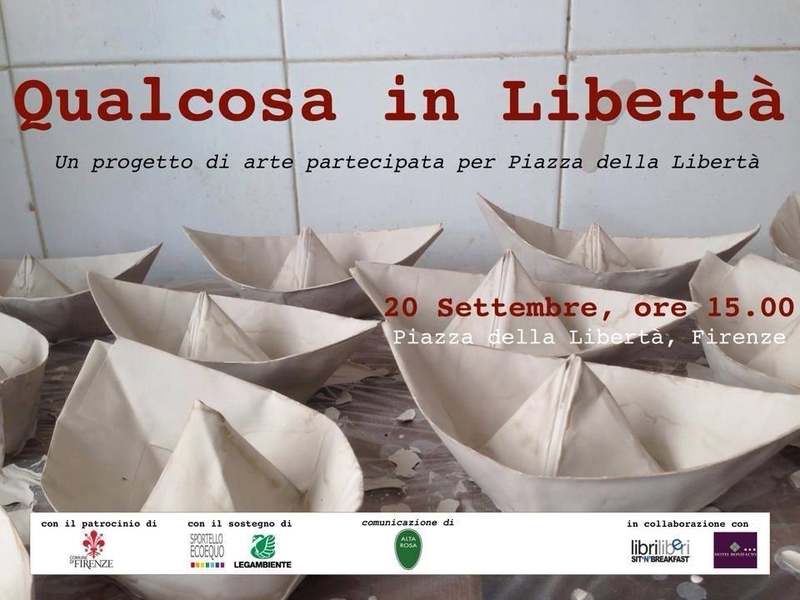 This Sunday at 3pm, the fountain in Piazza della Libertà will be filled with thousands of boats made from paper clay as the culmination of Qualcosa in Libertà, a participatory art work by Meri Iacchi and Gioia Bernalotti. 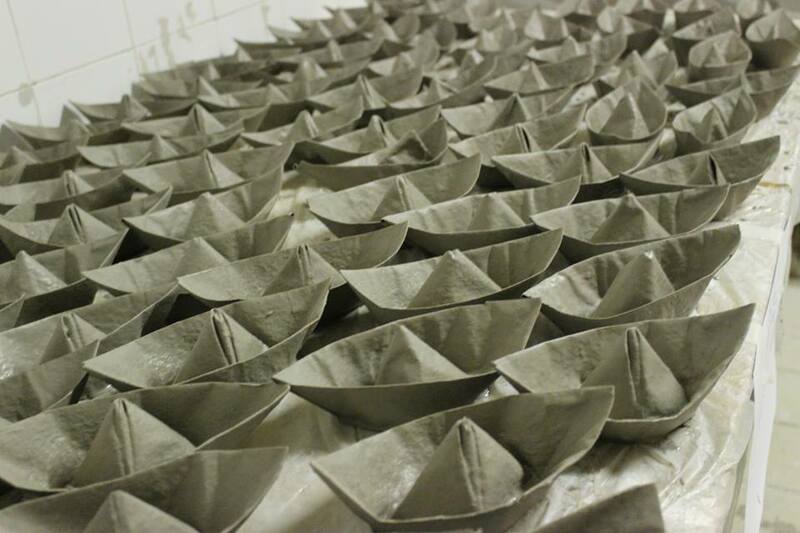 The boats, made by more than 400 community members of all ages in a series of open workshops, will be installed in Piazza della Libertà, an often-empty and overlooked square drowning in the sounds of traffic racing by. The aim, as described by the artists on the project website, is to draw attention to such under-used or forgotten urban spaces and to restore their function as places of social interaction. Over the course of the three months of boat-building workshops leading up Sunday’s culmination, Qualcosa in Libertà has created a physical space for meeting and exchange, while opening up a point of contact between contemporary art and the community. The folded paper boat, an object that recalls the games and toys of childhood, serves as both container and symbol for the project’s intention: to reanimate the piazza as a space for play, connection, and community. We learned about Qualcosa in Libertà from Meri when we were lucky enough to work with her at The White Garage during Florence Design Week. Her commitment to making contemporary art accessible to a wider audience and to exploring the social function of art is not only inspiring, but also profoundly necessary. Come out this Sunday to see the final result and to meet the faces behind Qualcosa in Libertà. For more information in Italian visit qualcosainliberta.weebly.com. For more information in English check out this great article from The Florentine. You can also join the event on Facebook.